UNC Charlotte's graduate programs lead the way to personal and professional growth. With more than 150 to choose from, you'll be sure to find one. 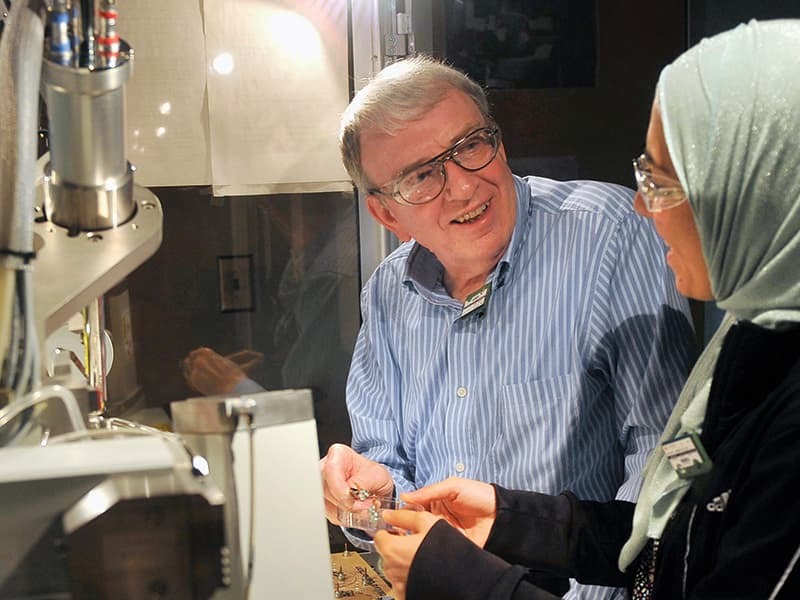 UNC Charlotte's graduate students enjoy an engaging learning experience beginning with internationally renowned faculty, dedicated research centers, and leading-edge facilities. Our exceptional breadth and depth give you many ways to pursue a graduate education at UNC Charlotte. The environment at UNC Charlotte is one of balance: state-of-the-art facilities juxtaposed with contemporary architecture alongside scenic natural resources. 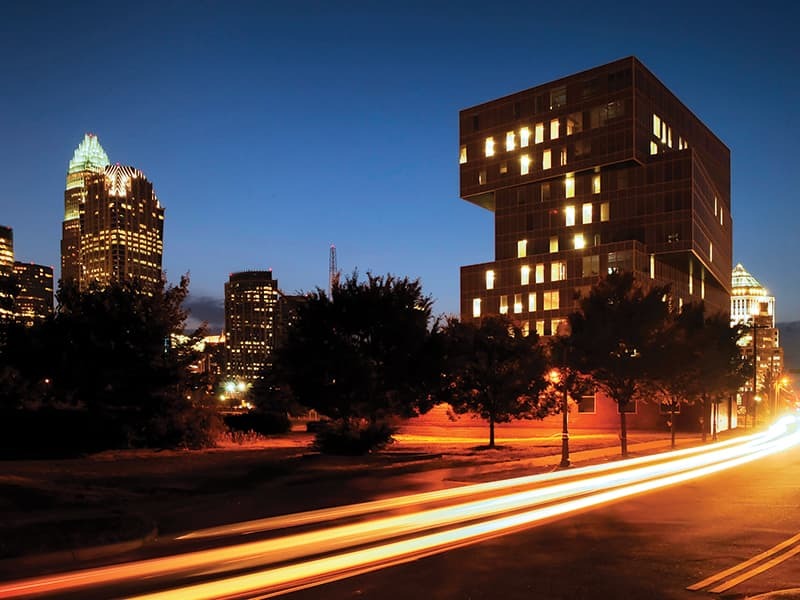 Light rail connects the main campus to uptown Charlotte and the University's Center City Campus, offering the excitement of city living--with acclaimed dining, sports, shopping and entertainment-paired with a warm sense of community for which Charlotte is known. Charlotte is ranked by Yelp as the No. 1 city in the United States for Economic Opportunity; No. 1 by CompTIA as the Best Place for IT Professionals to Live and Work; No. 22 by U.S. News and World Report as one of the Best Places to Live; and by Forbes as one of the Best Cities for Business and Careers. 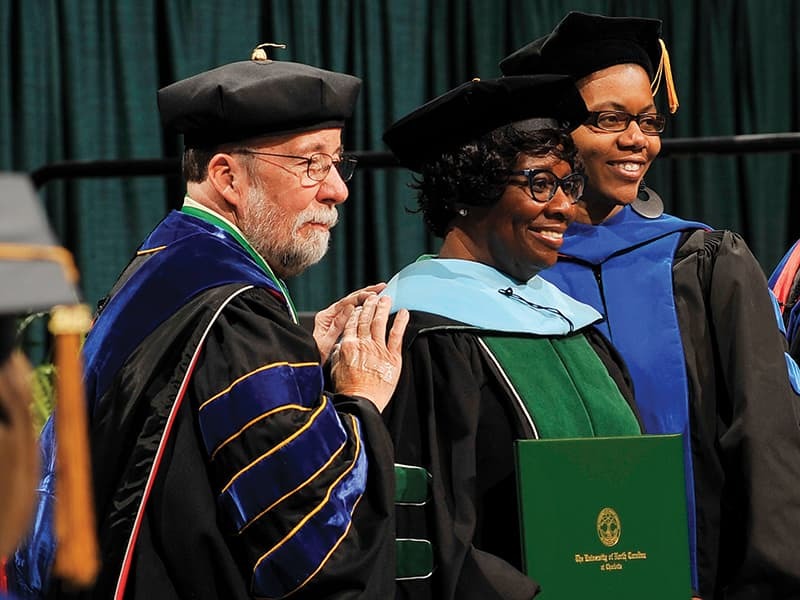 In 2016, UNC Charlotte was categorized as a doctoral-granting institution with higher research activity by the Carnegie Classification of Institutions of Higher Education. 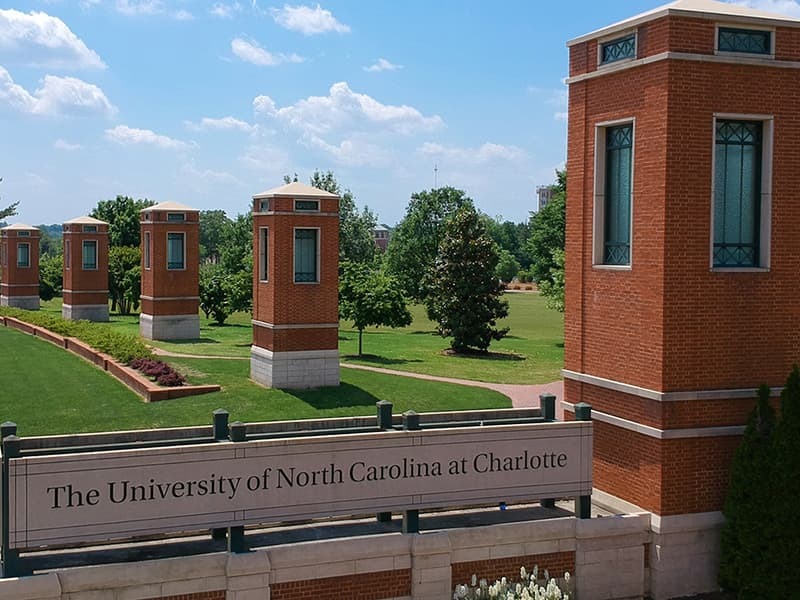 UNC Charlotte enjoys a close relationship with the Charlotte region's thriving business communities, who are partners to help train, educate, hire and promote our students. With 150+ programs, where do you start? There's a GPD for that. Each of our programs has a designated Graduate Program Director (GPD) who manages the program. If you have questions about a program or wonder if a particular program may be a good fit for you, the GPD can help. Research is fundamental to the mission of UNC Charlotte. New knowledge changes the world, and we place special value on research that benefits social, cultural and economic communities. Our focus is on applied research, teaching and responsive public service. This drive, paired with our collaborative partnerships with regional businesses and organizations, makes UNC Charlotte the region's premier urban research university. We believe diversity inspires innovation, and we are committed to equal opportunity education. That's why we actively recruit a diverse body of talented student; promote diversity initiatives on campus; and work to foster a culture of inclusion and respect. Academic background, professional experience, standardized test scores, recommendations, research experience. These elements and more combine to give UNC Charlotte a glimpse of who you are as a prospective students. That's why man Graduate Program Directors approach the application process holistically, considering information that may indicate an applicant's potential for success in a given program. 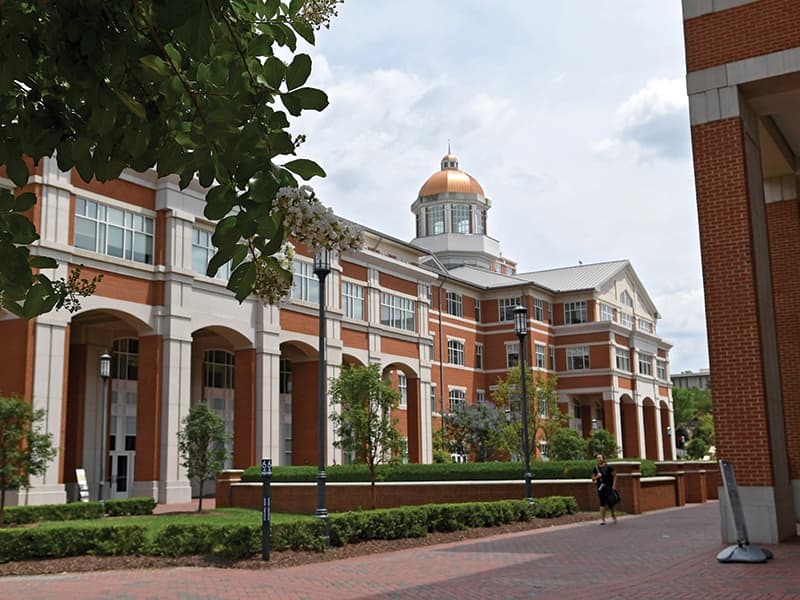 UNC Charlotte offers a variety of funding opportunities to graduate students. From scholarships and fellowships, to financial aid and work assistantships, there are numerous programs for which a new student may qualify. 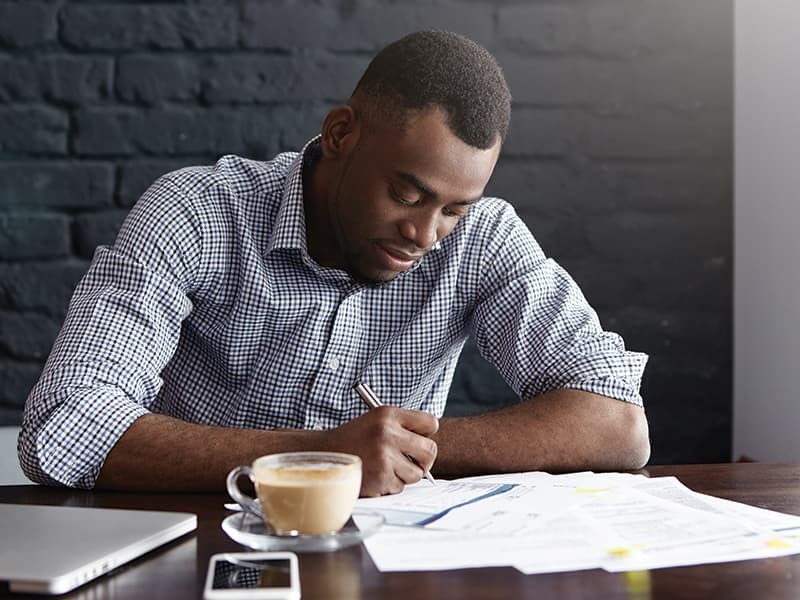 Additionally, your Graduate Program Director can help you learn more about available funding from your academic college, department or program. 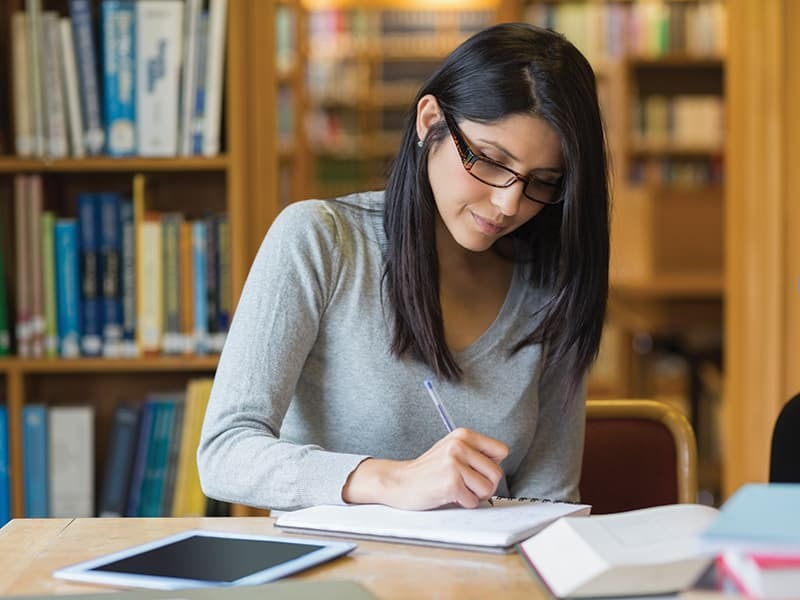 Visit the Graduate School’s website to learn how graduate student funding works and see which program can help you defray the cost of a graduate education. 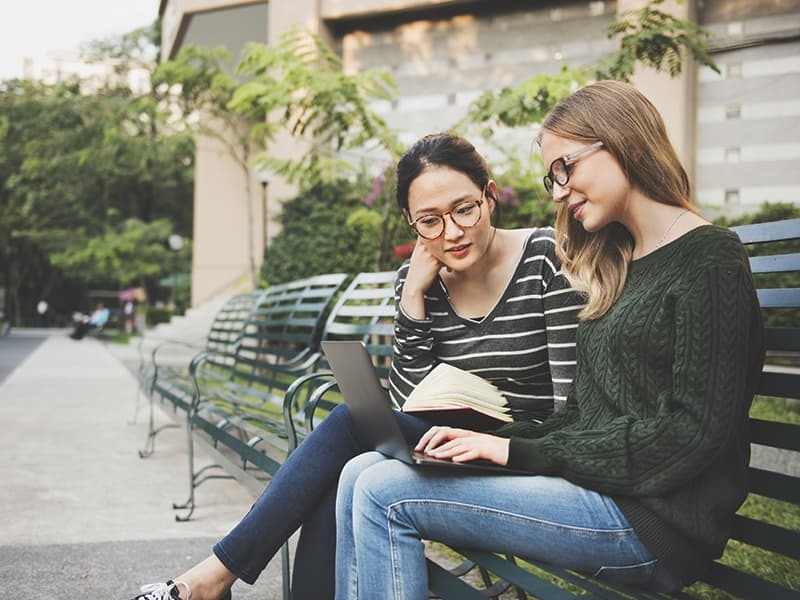 UNC Charlotte's Graduate School offers both face-to-face and virtual information sessions that allow prospective students to ask questions and learn more about our graduate programs, admission requirements, the application process, student life, additional resources and more. Some academic programs also hold information sessions and open houses, so be sure to keep in touch with the program GDP or check the website for updates. We encourage you to apply for graduate admission at UNC Charlotte. The application process is performed entirely online. If you haven’t already, please set up your prospective student portal account. This is your gateway to the application process and a valuable tool to stay informed about graduate programs. Please refer to the Application Requirements for information pertinent to the process. Graduate Admissions Counselors are also available to answer questions if you cannot locate answers in the FAQs. You may email the counselors at gradcounselor@uncc.edu.